It's December (!) and the snow is gently falling outside, a detail that has made it feel just right to be preparing for the holidays. This week the Christmas decorations all came out of storage and we've been having fun making the house look, sound, and feel festive. One of the boys' favourite boxes is the one filled with Christmas books, stories that we've been reading together each winter holiday season since they were little. Will was home from school sick one afternoon this week, and he and I spent it cozily sharing some of these best-loved Christmas tales after their year-long hiatus in the basement closet. It turned what could have been a miserable afternoon into a very pleasant one! I thought I'd post some of the titles we especially enjoy for anyone who is looking for some Christmas books to share with their own young ones. While Noah and Will are both beyond picture books, at Christmastime, it doesn't seem to matter; everyone in the family loves the fond memories, the laughter, and the warm hearts that these stories evoke. This very entertaining depiction of Christmas Eve and Christmas Day will have Olivia fans both roaring with laughter and easily relating to familiar traditions and feelings associated with the holidays. 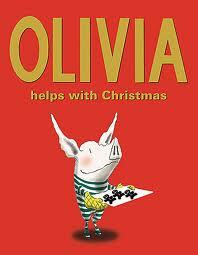 Olivia's attempts to be helpful (which Ian Falconer illustrates with great humour) may not turn out perfectly, but she and her family share a wonderful Christmas together nonetheless. Lucy Cousins writes a simple, sweet story of friends gathering to enjoy Christmas Eve together. When Eddie the Elephant doesn't show up at Maisy's house as planned, the friends all work together to make sure everyone gets to join in the Christmas carolling. Bright, cheerful illustrations make this a very visually appealing book for little ones. 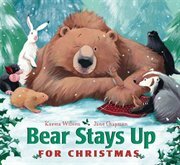 Bear is tired and wants to sleep soundly through Christmas as bears are accustomed to doing, but his woodland friends have other plans. With their encouragement, Bear stays up for Christmas and happily shares in the joys of this special time of year. Wilson's warm, engaging, rhyming text combined with Jane Chapman's beautiful illustrations make this a lovely book that truly captures the spirit of the season. Olive is a dog... or so she once thought. 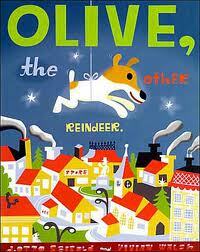 After hearing the Rudolph song on the radio one Christmas, however, Olive decides that she is actually a reindeer! Children will cheer for Olive as she helps out Santa and his team on Christmas Eve using her unique skills, showing that even a little dog can make a big impact. 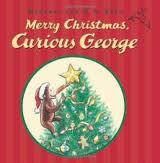 Curious George's adventures have captivated children for years, and his Christmas escapades in this book are also sure to delight! When George accidentally takes a detour from the Christmas tree farm he is visiting with his friend (the man with the yellow hat), his curiosity gets him into some trouble at a children's hospital. Sometimes a mischievous monkey is just what sick children need at Christmas, though! A little hedgehog is woken from his winter's sleep and notices a present dropping from the sky. It is a fuzzy, warm, red hat (which little hands can actually feel on the book's pages), but no matter how hard he tries, the hedgehog cannot get the hat to fit comfortably. So begins the journey of the hat, from one creature to another, as the book progresses. 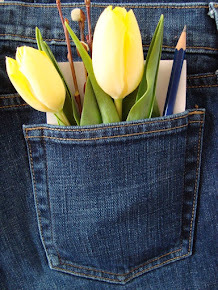 Where the hat ends up by the story's conclusion will make readers feel warm and fuzzy inside, too! This is a gorgeous holiday book, both in word and in illustration, one that emphasizes the magic of the season for anyone who believes in it. 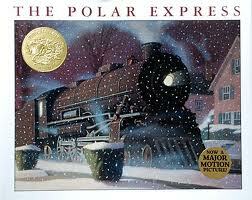 A boy's marvelous experience on the Polar Express train to the North Pole late one Christmas Eve ensures that he will never forget how to see Christmas as children do -- with wonder at all of its joy and sweetness. The holidays are a perfect time for snuggling up with the family by a warm fire and enjoying the company of good books. If you'd like to, please share your family's favourite holiday tales in the comments section below -- it's always so nice to hear about other families' traditions, too!